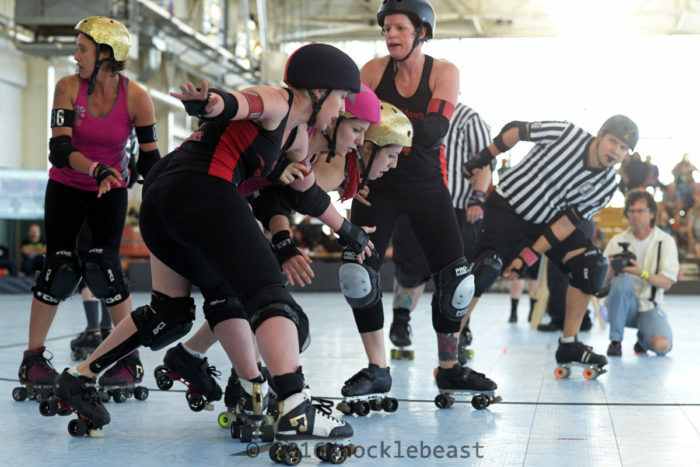 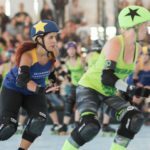 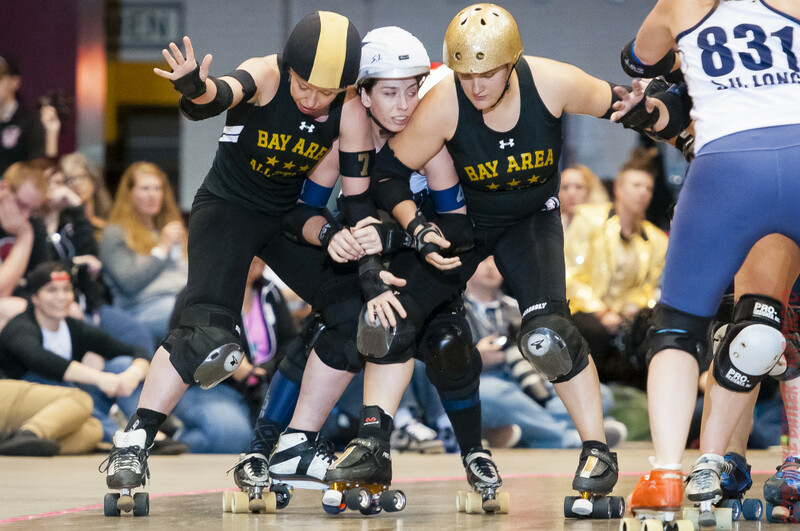 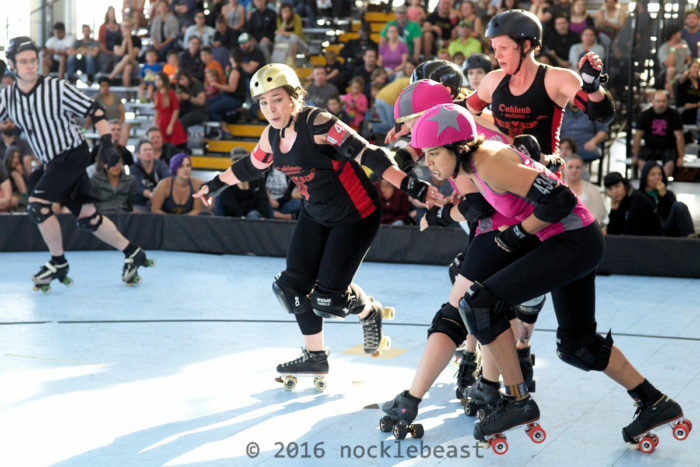 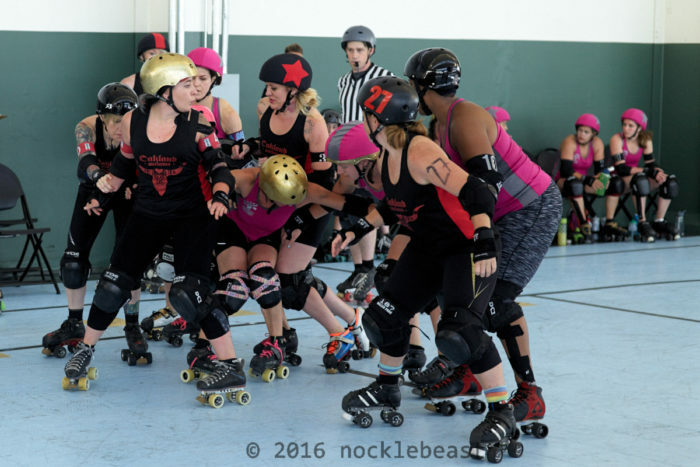 Bay Area Derby’s Travel Team is composed of a skaters who represent BAD in interleague play, comprised of All-Stars on our WFTDA charter and B-level skaters on Team Gold. 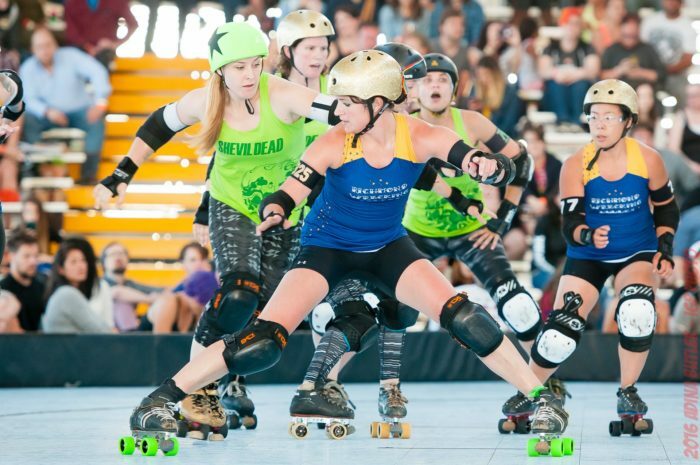 Team Gold put up a 3-5 record during a season that culminated with an appearance at Full Metal Bracket in Austin, Texas – a seeded bracketed tournament representing the “championship” for B-Team tournaments. 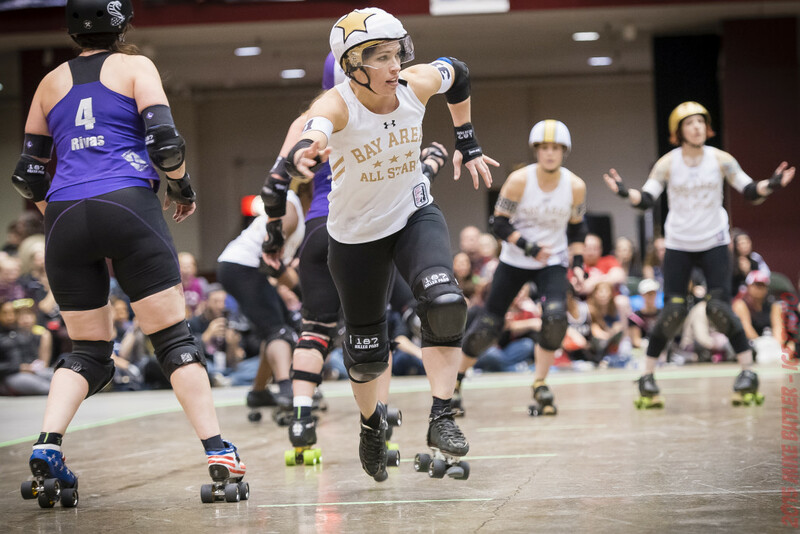 BAD’s All-Stars fought through a season last year packed with strong competition. 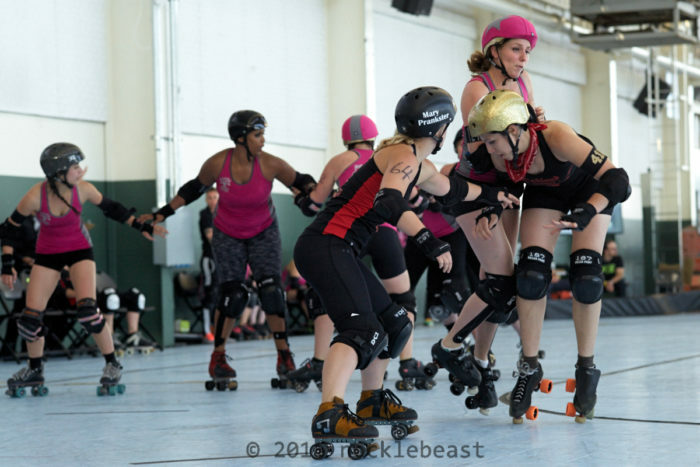 Their regular 2015 record ended up 3-6 between May and August, across 3 multi-game weekends. 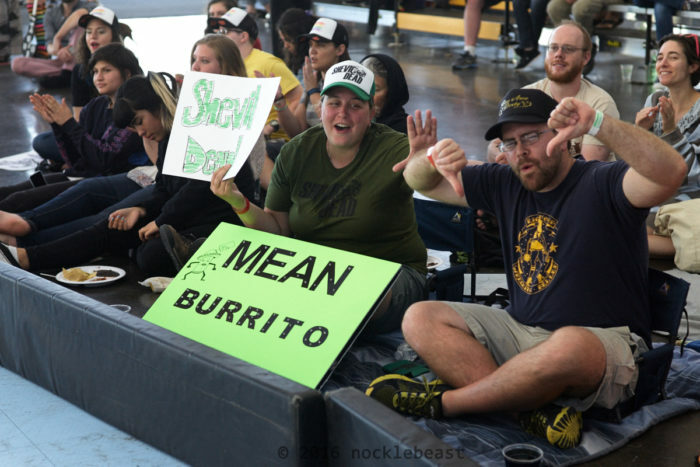 The groundwork for their eventual strong showing at Division 1 WFTDA Playoffs (Tucson, AZ) and Championships (St. Paul, MN) was laid by the intense competition they faced along the way. 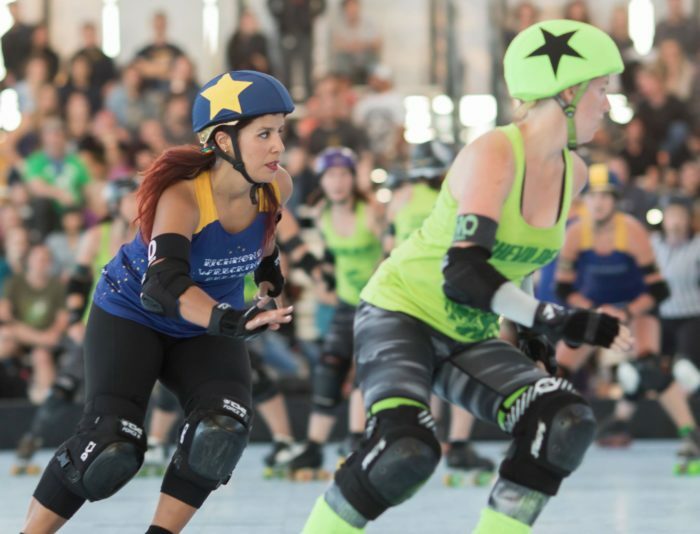 “We definitely got stronger as the year went on, and the team had a chance to solidify,” said coach Murderyn Monroe, noting their performance against Denver and Rose City at Champs as indicators of that gain. 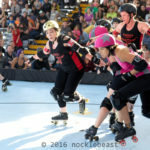 It is that same adversity and high level of competition that enables skaters to fine-tune their skills and make the roster as part of the All-Star team. 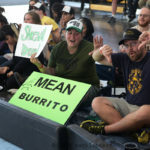 Long-time BAD fans may notice some familiar faces who are new to the All-Stars charter this year after working their way up: Mean Burrito (89) is a regular on the jammer line for the San Francisco ShEvil Dead and is returning to the All Star team after a year on Team Gold. 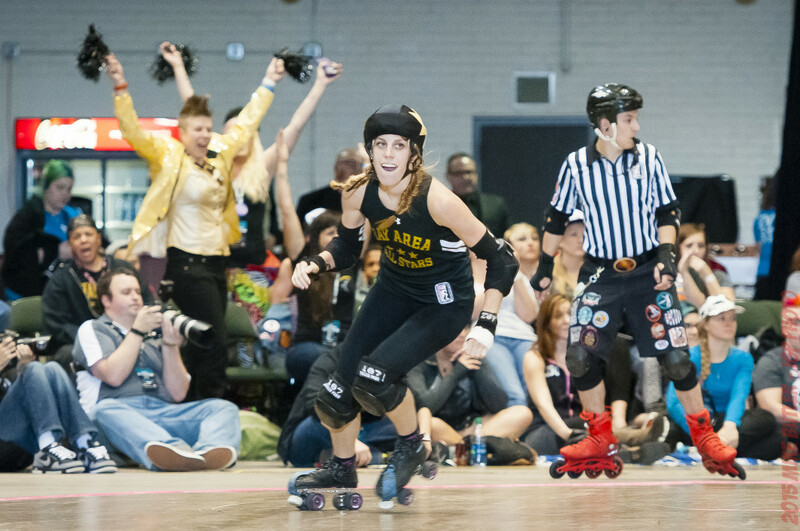 Lightning quick with seemingly endless spring in her step, this skater could definitely contribute some clutch jams with the star when called upon this season. 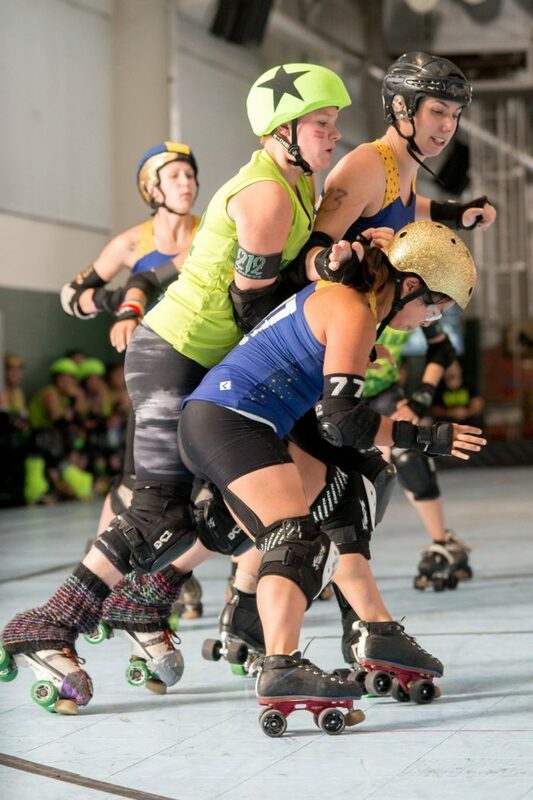 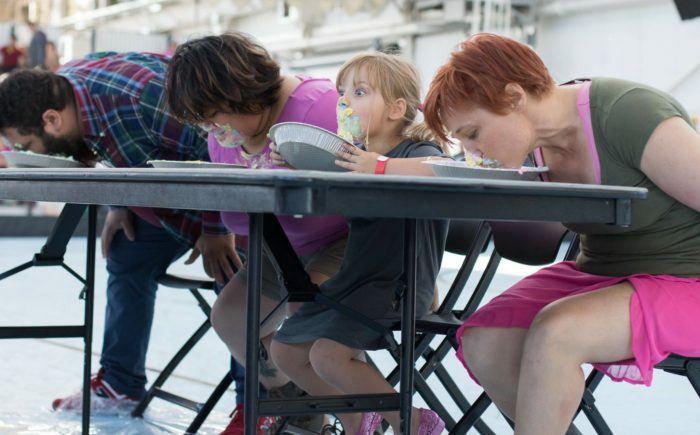 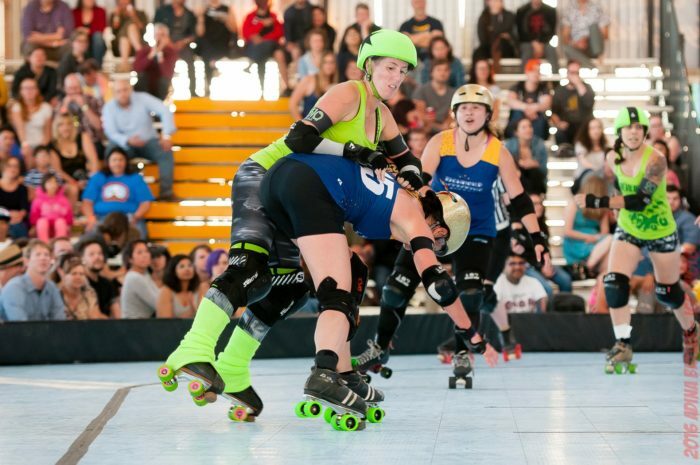 Newly tapped for duty are Biggie Brawls (77) and Sterling Archer (925), who can often be spotted walling up together for the Wrecking Belles, as well as Dirty Lil Trick (405), a dynamite blocker and coach for the Berkeley Resistance – all three also played with Team Gold in 2015. 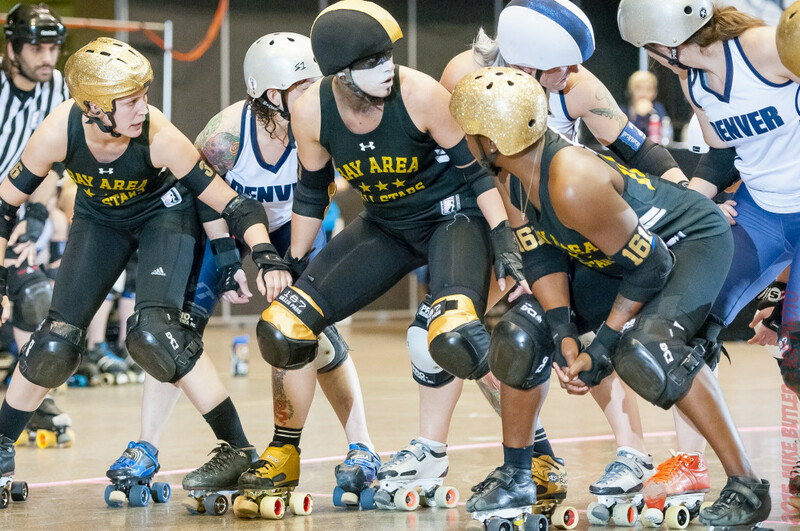 Along with games against Victoria (2), Denver (8), and Texas (5) at the Big O, the All-Stars are headed to LA to meet up with Angel City (7) in early June for PAC Destruction, where Team Gold will also be playing. 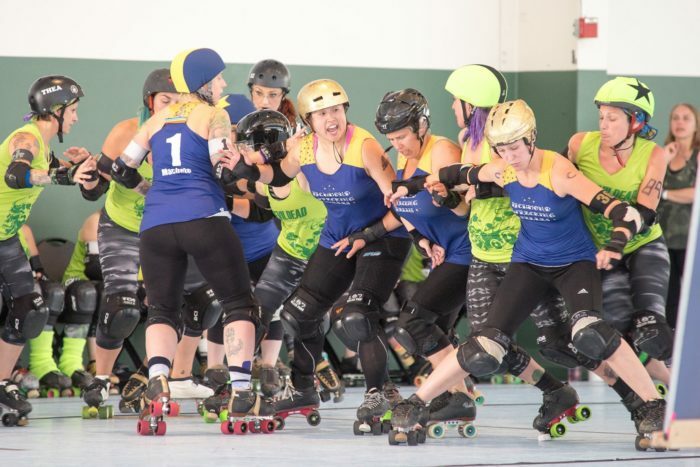 The season is shaping up to offer formidable competition again, and the coaches are hoping to turn that adversity into greater gains this time around. 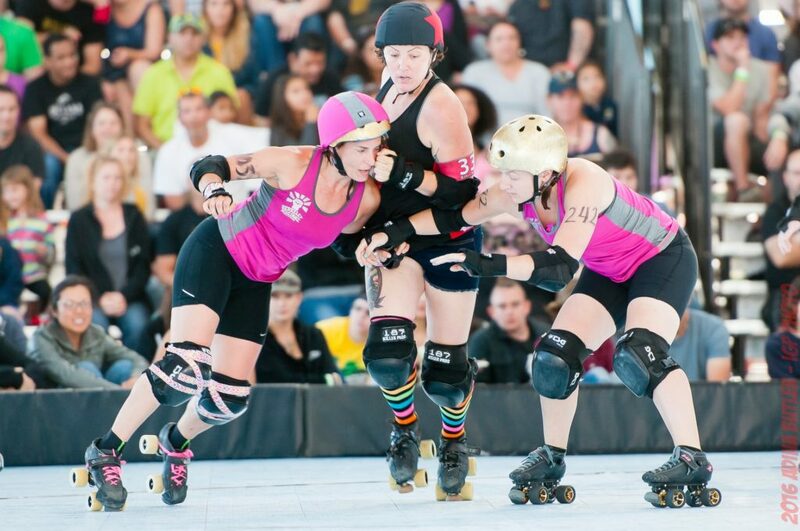 Congratulations to our 2014 Golden Girls for taking home the bronze in this year’s WFTDA championship tournament! 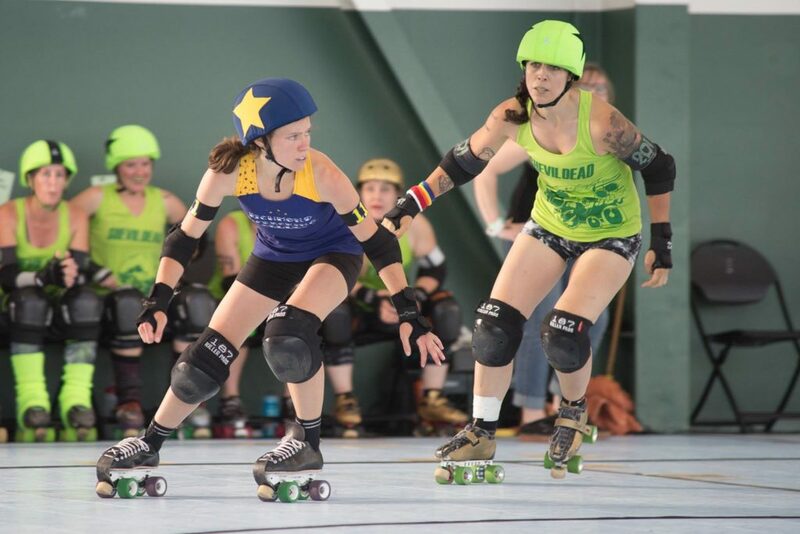 The BAD All-Stars were rolling deep this year with the support of the BAD league and fans and we are all so proud to be a part of an amazing group of talented athletes. 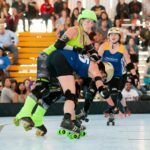 Baaaaay Aaaarrreeeaaaaaa!